My kids love creating arts and crafts! They love to do crafting after school and it keeps them busy and makes them smile. 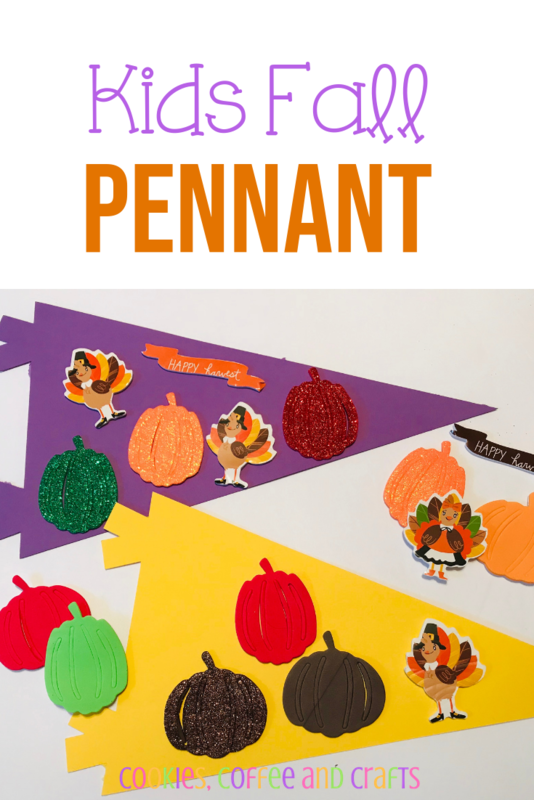 The kids fall pennant is easy and fun to create. 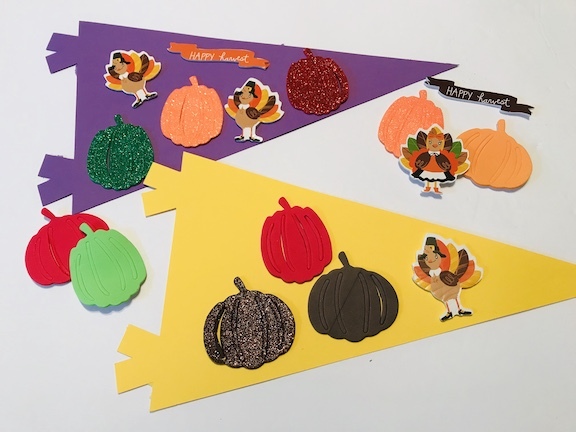 This would look great in a classroom on a bulletin board or be a great fall party craft. 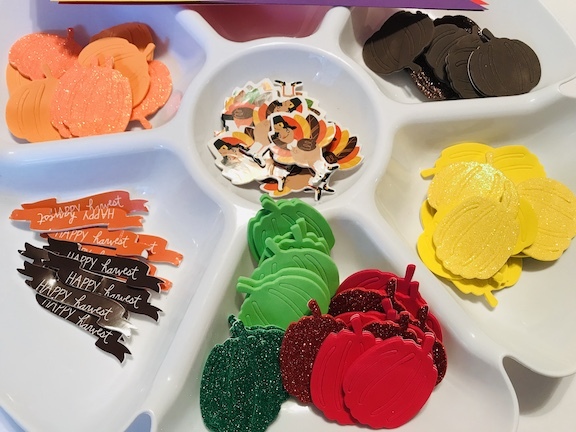 Michaels had some super cute fall foam stickers and I had to have them for this project. Some even glitter. Foam stickers are great to use because it gives dimension to the project and the kids think they are special. This pack had a great variety of pumpkins, a cute turkey and a harvest banner. 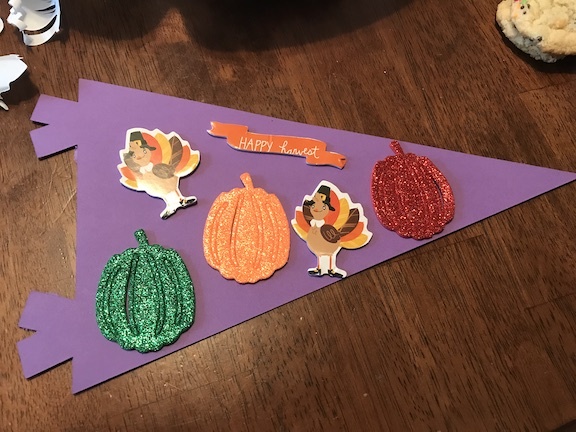 I made the pennants with my Cricut Maker using card stock, but you can use construction paper and trace and cut a pennant. 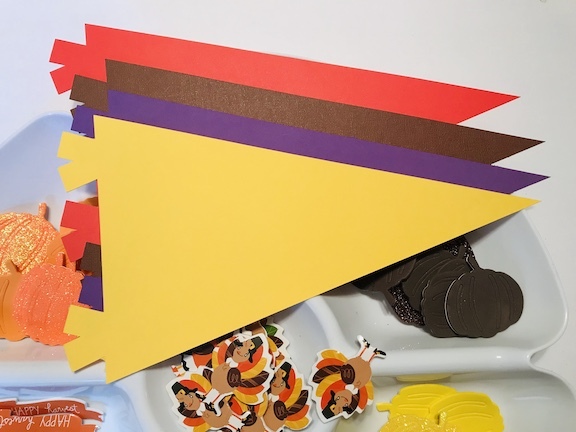 Just have fun decorating the pennants. 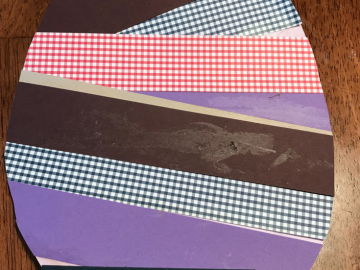 I love these foam stickers because they were easy to peel and stick. Plus that is the cutest turkey ever. For Thanksgiving, you could have your child say something they are thankful for every time they add a sticker. Here are both of the pennants finished. I just realized their are girl and boy turkeys- so cute! 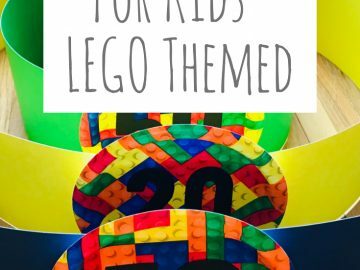 This would be great for the kids on Thanksgiving to keep them busy.